Today I'm sharing with you an amazing holographic top coat from Born Pretty Store called Portrait of a Lady. The holographic particles, which include bar shaped glitter, sit in a clear polish, which means you can apply it over any colour to dazzle up your nails. I applied one generous coat over a dark grey base colour and sealed with top coat. In the sunshine the holographic particles are mesmerising. 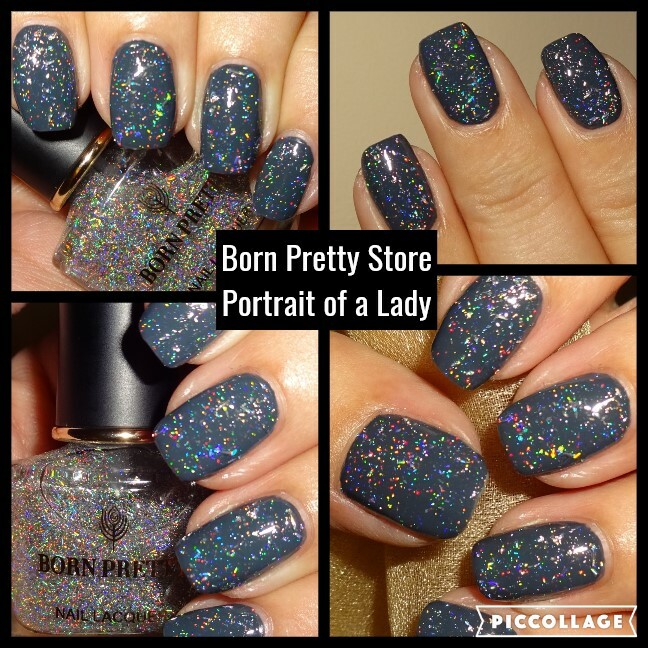 The Portrait of a Lady holographic top coat is currently $3.59 / £2.71 / €3.07. You can also use my coupon code HXBQ10 which gets you 10% off all FULL priced items.